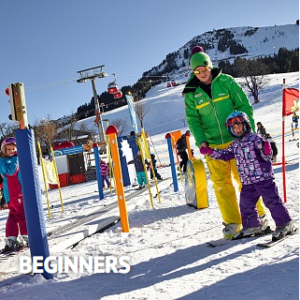 Brixen also offers numerous easy options for learning winter sports. 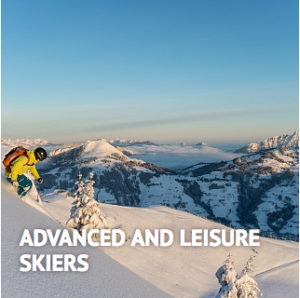 The Aktiv ski school (at the valley station) and the Brixen im Thale ski school (Hochbrixen mountain station) offer ski courses, snowboarding courses and private lessons with personal professional instruction, from beginners to experts. 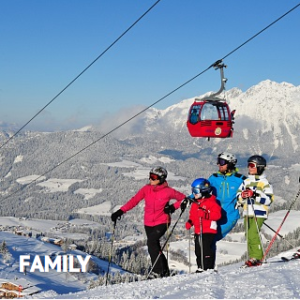 Families are in the best of hands thanks to the many easy (blue) pistes on offer in Ellmau. The new 10-seater Hartkaiserbahn gondola is particularly family-friendly. With an extra-long access point and new middle station, the new mountain railway offers comfort and greater flexibility with the option to get on and off half-way up. New at the mountain station is the ‘Hartkaiser Adventure Eldorado’ with its own children’s restaurant, child-care facilities for young children and kids’ adventure ski school. The Ellmi’s Kids Club provides child-care at the mountain station for small children from 2 years old. The Ellmauer Kinderland alongside the Kirchbichl lift offers all-round child-care along with the Bobo Kinderland (kids’ fun park) & Bobo Kinderclub (kids’ club) at the 1st Ellmau skiing and snowboarding school. Particularly popular with ambitious skiers: the Astberg piste in Going. One of the most beautiful and varied slopes in the SkiWelt with some exciting changes in terrain and a broad steep piste. On the sunny side of the Astberg, skiers can enjoy the broad and medium-steep slopes – even in spring. 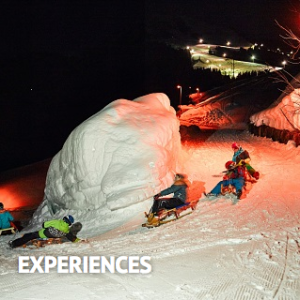 With its Funny Bird Slope and Crazy Kangaroo Park, Söll offers exciting experiences for adrenaline junkies both young and old. The Funny Bird Slope beneath the Salvenmoos 2-seater chairlift provides fun both night and day. two lines with plenty of variety and exciting obstacles, including jumps, boxes, curves and corners, tunnels, crossings and many others! And so as not to have to miss out on any jibbing after dark, a new rail line was built right next to the floodlights. Small but sweet. The Crazy Kangaroo Park at the Rinner lift with chill-out area is constantly being expanded, re-shaped and kept up-to-date. The playful set-up can be found on the upper part of the Rinner descent and includes a number of special features. The Easy Line with its two 3 kicker lines, 2-4 meter tables and Snow Fun Box is ideal for all freestyle newbies. A brand new flat tube and a flat down rail will also be crafted from snow this year by the park’s shapers. Söll is the number 1 destination in Austria when it comes to night skiing. With 11 kilometres of illuminated ski runs (Wednesday to Saturday each week), SkiWelt Söll is Austria’s largest night skiing resort! A very special experience for any winter sports fans wanting to turn night into day on the slopes. Fun and action for everybody! Only 6 months to go! Book your end of the year holiday now!